Product Description: Our team of experienced professionals assists us to trade, wholesale and supply high quality Low Carbon Ferro Chrome at highly competitive price to the clients. Our team of experienced professionals assists us to trade, wholesale and supply high quality Low Carbon Ferro Chrome at highly competitive price to the clients. Note: We Can change Specifications/Size/Compositions As Per Client Requirments. We Shree Bajrang Sales (P) Ltd. wish to introduce ourselves as professionally managed multi-locational reputed manufacturers, importers, exporters, marketing agents of raw materials required by Steel Plants, Foundries, Ferro Alloys, Steel Shots and Welding Electrode Manufacturers and having a group turnover of approximately USD 175 Million. Our Parent Company Shree Bajrang Sales (P) Limited is one of the few companies in the Steel, Coal, Coke, Ores, Minerals, Metals, Ferro Alloys and Non-Ferrous Alloy's trade in India who have been rated by D&B Street, the internationally reputed Credit Rating, and Reporting Agency. We have a good presence in the domestic & International market and we believe in the synergizing strength and growing together. 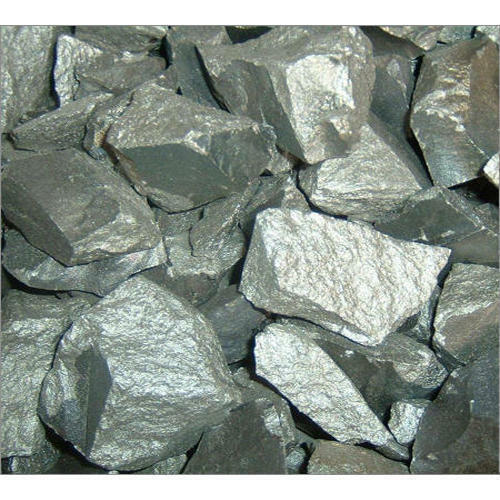 Our products range includes High Carbon Ferro Chrome, Ferro Phosphorous, Ferro Silicon Calcium, Low Carbon Ferro Chrome, Carbon Additive (C), Low Ash Metallurgical Coke, Aluminum Notch Bar, Aluminum Shots, Perlite Ore, Limestone, Dolomite, Fluorspar and Non-Ferrous Metal. These include Iron Rich Alloys and other pure forms of elements, which alter or improve the characteristics of the metal being made when added during the steel manufacturing process. Further, these are available at competitive prices, which enabled us to garner a huge base of quality conscious clients in the global markets. With our main concentration in meeting the demands of the steel industry, we are consistently catering to Specific Ferro Alloy requirements of the clients and emerged as a prominent supplier in this domain. Our competitively priced range of more than 30 products is sourced from quality conscious manufacturers based in countries like India, China, Russia, Turkey, Europe, and Vietnam. We have also built strong in-house processing facility for processing of our ferrous & non-ferrous minerals. Our processing unit is equipped with the latest technology and sophisticated machines, which allow us, undertake the production with ease and precision. Moreover, we also have an in-house testing facility that facilitates us test our ferrous and non-ferrous products stringently on various parameters. Moreover, we also package the products as per the specifications provided by clients to ensure safe and secure transit.